A course blog has been established for Finance 4335 at the address http://risk.garven.com; it is also linked from the “Course Blog” button located on the course website. 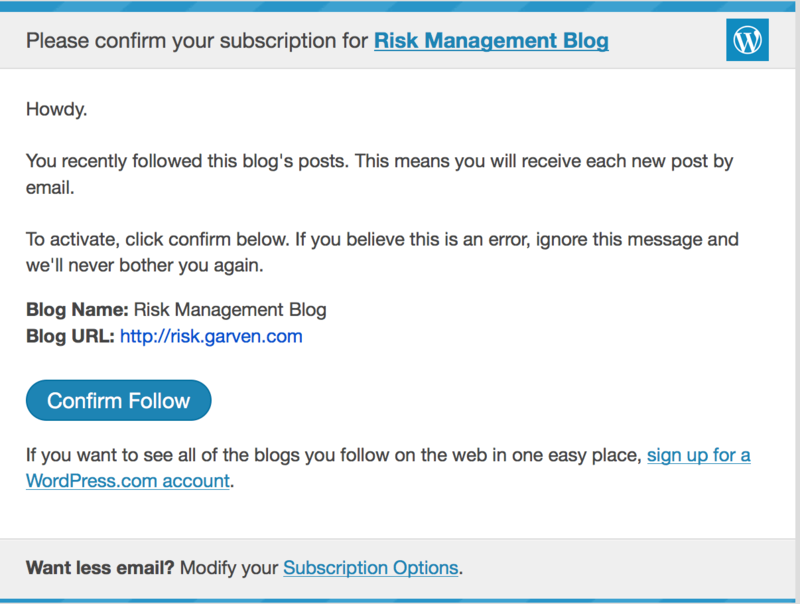 I recommend that you follow the risk management course blog regularly via email, Facebook, and/or Twitter. The risk management course blog provides me with a convenient means for distributing important announcements to the class. Topics covered on the course blog typically include things like changes in the course schedule, clarifications and hints concerning problem sets, information about upcoming exams, announcements concerning extra credit opportunities, and short blurbs showing how current events relate to many of the topics which we cover in Finance 4335. If you are either a Facebook or Twitter user, everything that is posted on the options, futures, and other derivatives course blog is automatically posted to Facebook and “tweeted”, so you can also subscribe by “liking” the Finance 4335 Facebook page or by “following” @fin4335 on Twitter. 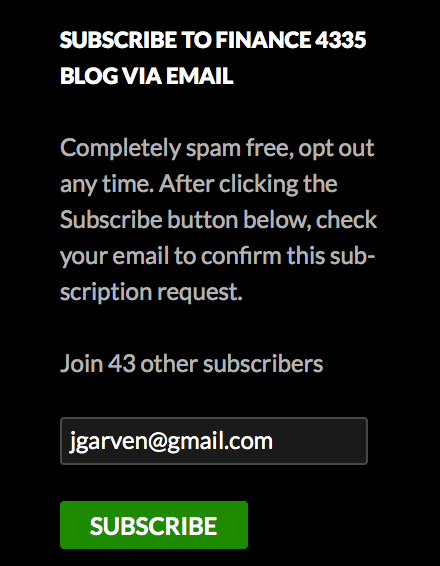 Finally, you can also subscribe via email. 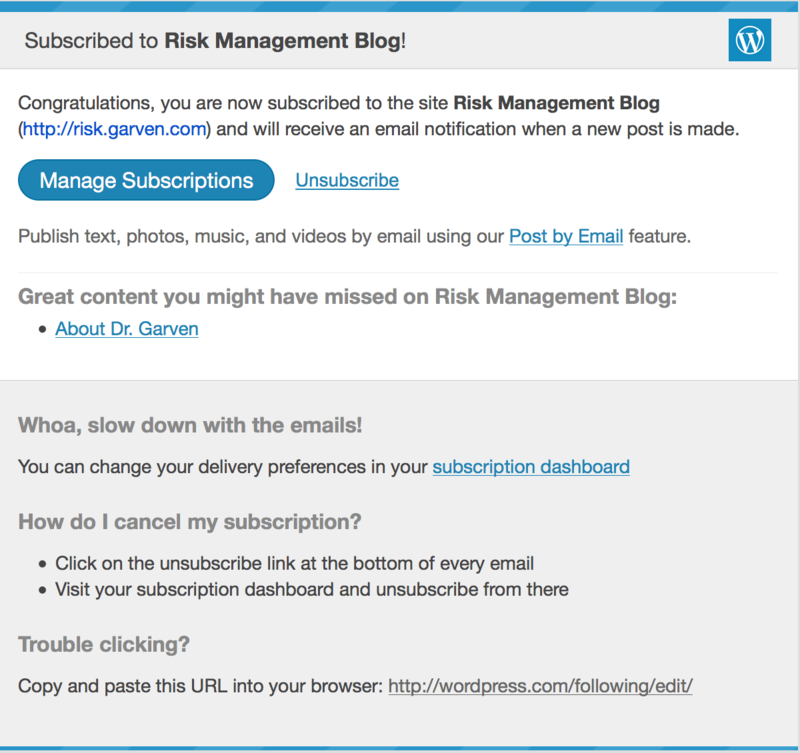 The remainder of this blog entry explains how to subscribe to the risk management course blog via email. From that point forward, whenever I post to the course blog, you will immediately receive a nicely formatted version of the blog posting via email. Also, you can opt to change your delivery preferences, or even cancel your subscription.